As my old AR Drone 2.0 lipos I was using are getting pretty work old and I am getting only around 7 mins each from them, I decided to look around for some new ones. So I see a ZOP Power one at a good price from China and ordered one to try out. 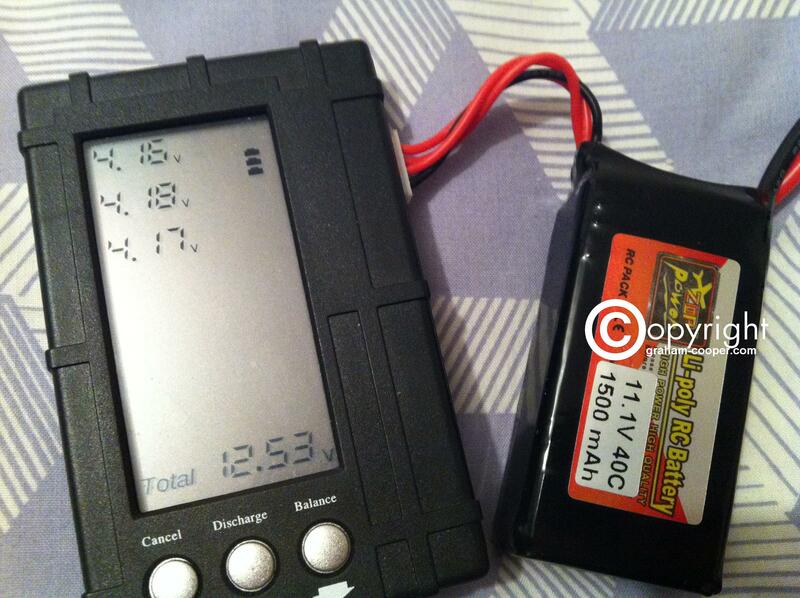 Plugged the Lipo into to see how well balanced it was. 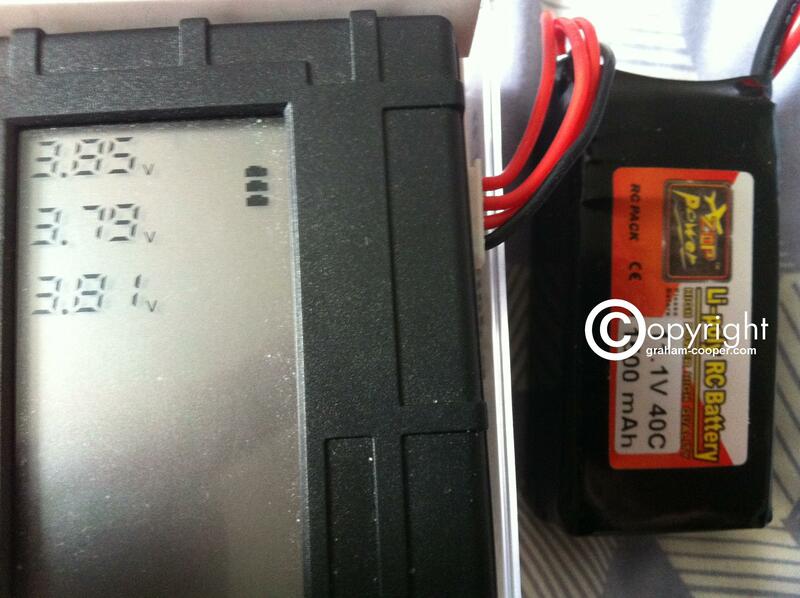 As you can see below the lipo was not very well balanced, and cell 2 looked the worst. Anyway, I balance charged it upto full charge at a slow gentle 100mah , and it took around 630mah. Not as even as I like, but thought looks like it should be okay. So changed the deans connector over for a tamiya connector so it would fit the AR Drone and off for a indoor test flight to see what difference to flight time a new lipo would make. Was going okay I noticed I got down to 42% left remaining in freeflight app and then it went 42% and then straight down to 32%. The length of the flight was 12 mins 30 secs until I landed at 32%. 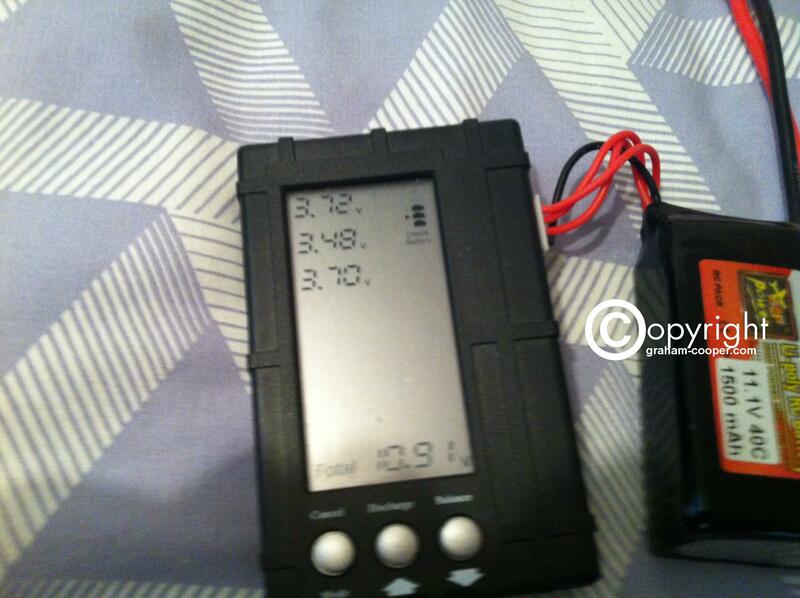 I quickly hit land and read the lipo as heres what it showed. 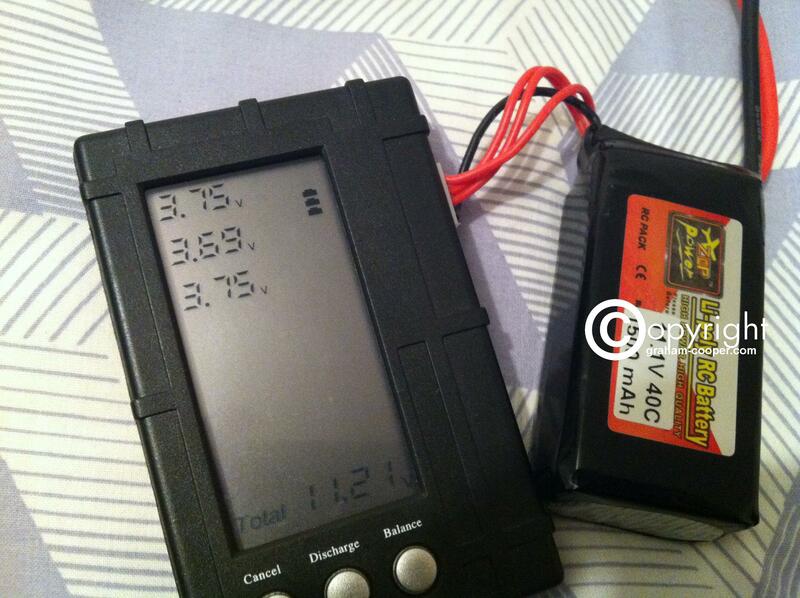 As you can see that cell 2 is reading 2.84!! And in fact it was actually 2.78 when I first read it straight after the flight, it recovered a bit 5 mins later to the above. So that Cell 2 that looked iffy to me when I first unboxed the battery was indeed not very good at all. And being its resting at 2.84, it must have been down at around maybe 2 volts when I landed. 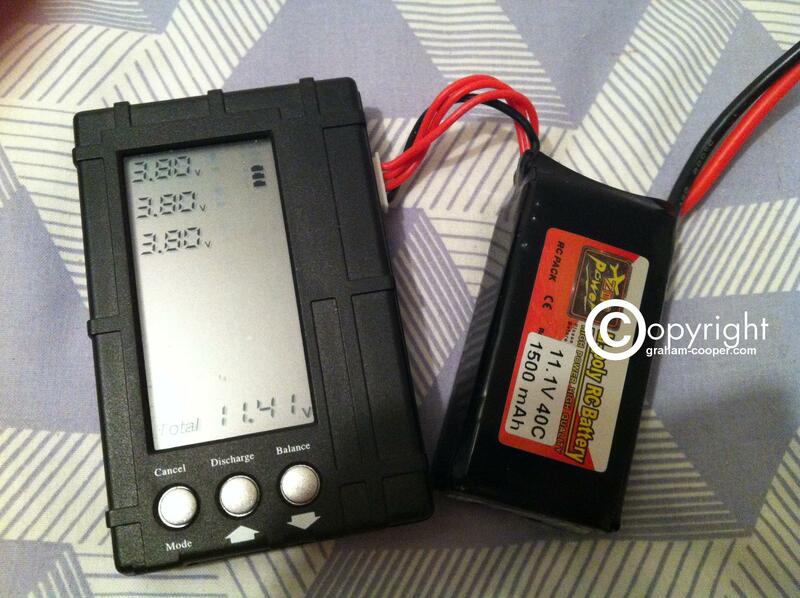 So this lipo is duff, and I wont be buying any more ZOP Power Lipos. Although I consider this lipo wrecked now , I thought I would connect it to charge and charge to storage and see what it came upto. Not worth trying to send it back as that would cost more than buying another. Similar to the first charge results I had. Oh well lets try another flight and I thought this time I would land at 50% left. So I ran it until I hit 50% and landed which then was about 49%. As you can see Cell 2 is low again, not below 3 volts this time but under load I think it may have hit 3 volts or lower. This will be okay as a test lipo until it puffs, which it will surely do and I will have to make sure I land at 60% left. 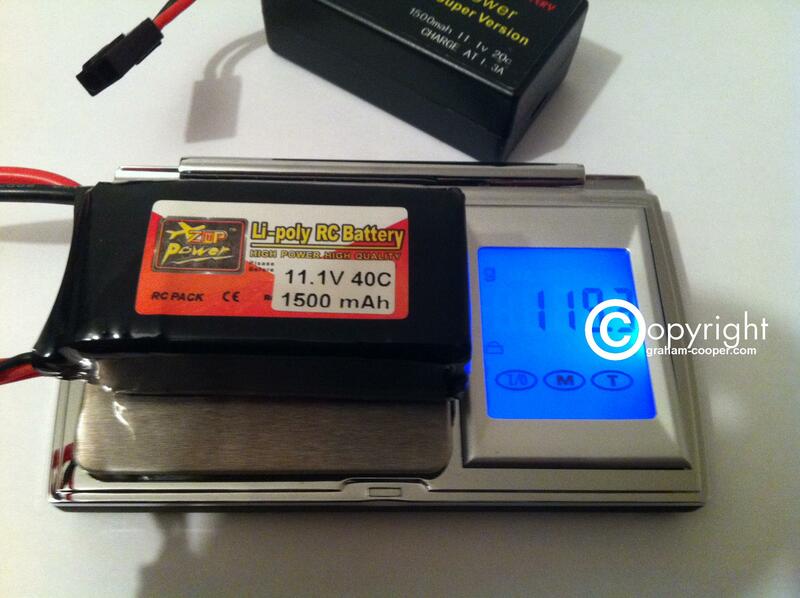 As many will know, you can get good and bad lipo’s from new and as always the clue is how well balanced are they. Normally when I get new ones they read around 3.84 volts and maybe within .01 of each other. This one was way off and Cell 2 definately well off where it should be and no way can I get the expected flight time from this 1500mah lipo, as cell 2 is no good. This could just have been unlucky me and I got a duff one, but I think maybe they should at least test the voltage of the cells before they send them out, and being as they cant have been checked thats the reason I will now steer clear of any more ZOP Power lipos. I will carefully run and change this lipo a few times to see how much worse it gets or how long before the cells puff. 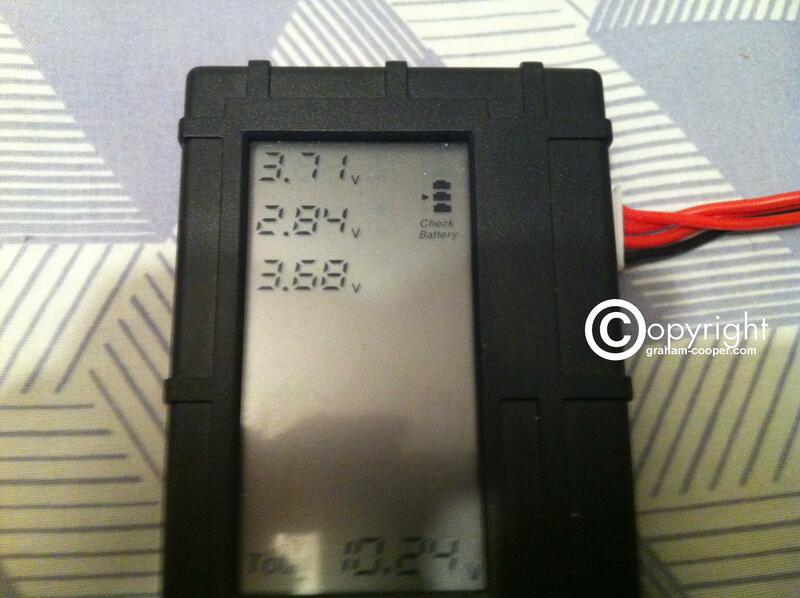 Now I am charging from my last flight to see just how many mah goes back in to full from the 3.72 , 3.40, 3.70 voltages.. 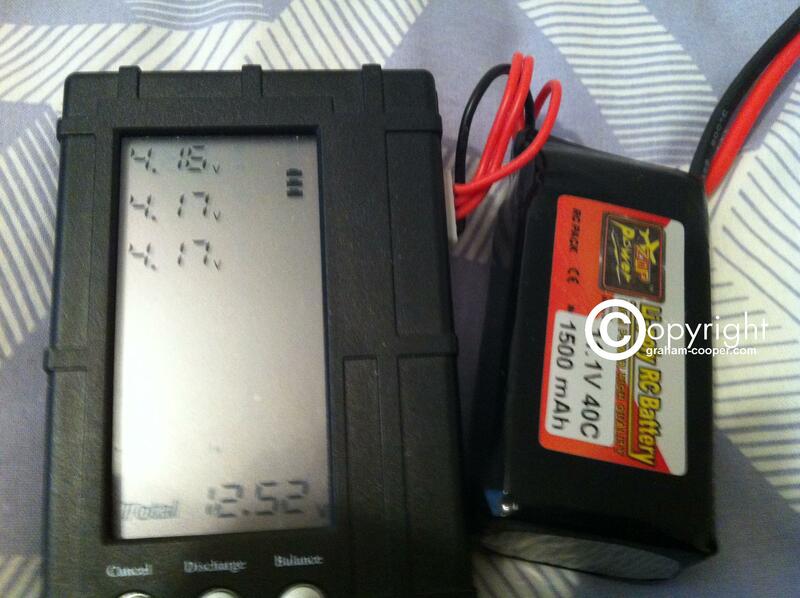 Charging up this lipo it took 1277mah back into it from the above voltages and ended up with 4.16 , 4.18, 4.17. I think if Cell 2 had not been weak like it is, then I would have got about 15mins flight time from it which was what I used to get with another makes , flying with outside shell, parrot gps and Mirumod installed. 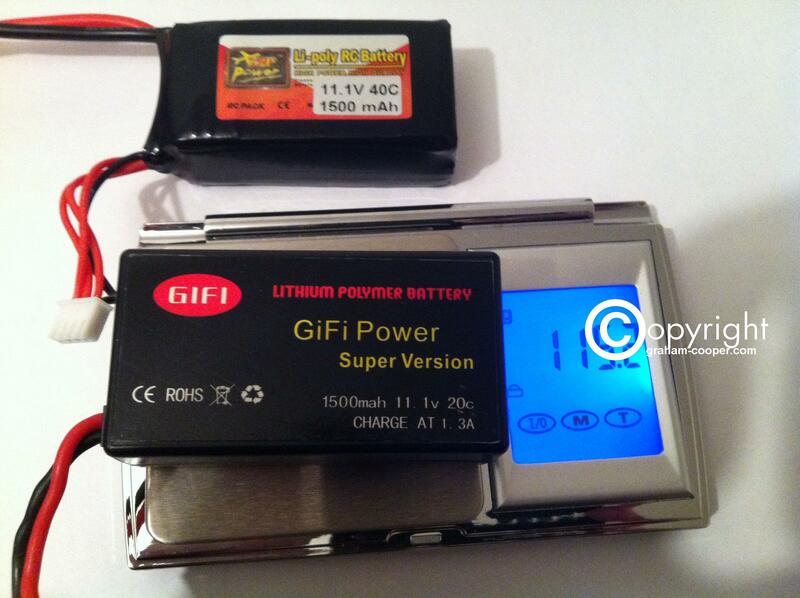 Just for comparison below are weights of the ZOP power and the GiFi 1500mah lipo. On another update to this quite long post now, but anyway a 3rd flight on this ZOP Power Lipo and I ran the AR Drone until it read 60% left and then landed. With again as the setup below, I got a about 10 mins 15 seconds and then I hit 60% left. So to end this quite long post now, it seems even though this lipo is pretty much trash, I can for the time being get about 10 mins out of it until cell 2 gives up or starts to puff. I do have some info I kept on these others when they were new, I just need to find it and add it, just case the info is helpful to others. 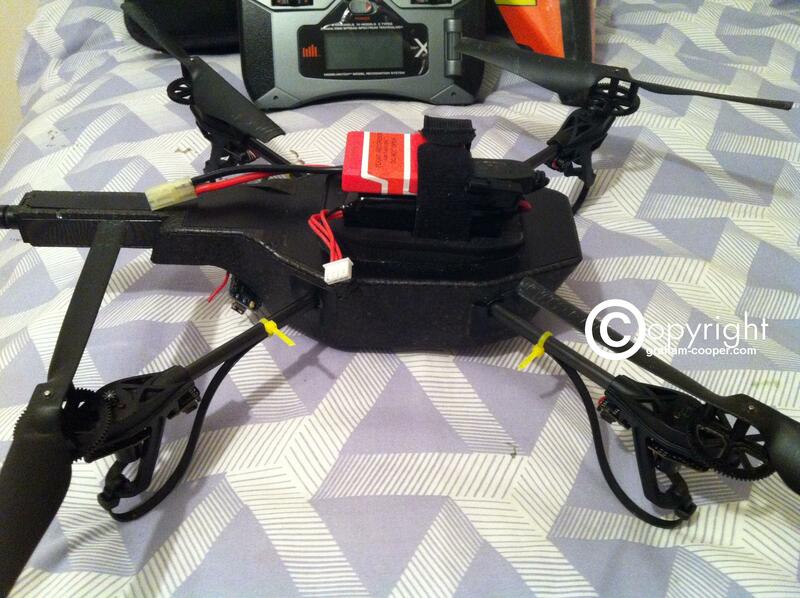 This entry was posted in AR Drone 2.0, Radio Control Models, Uncategorized. Bookmark the permalink.